After a day of classes at University of Oklahoma stop at Braum’s, a short walk from your student housing, for groceries, ice cream or burgers. Take study breaks to watch the Sooners at Memorial Stadium, check out art at Firehouse Art Center or explore Norman’s beautiful green spaces. Walk trails at George Sutton Wilderness Park or Lake Thunderbird State Park. Fill up on Southern treats like brisket or tacos at Rudy’s Country Store and BBQ. 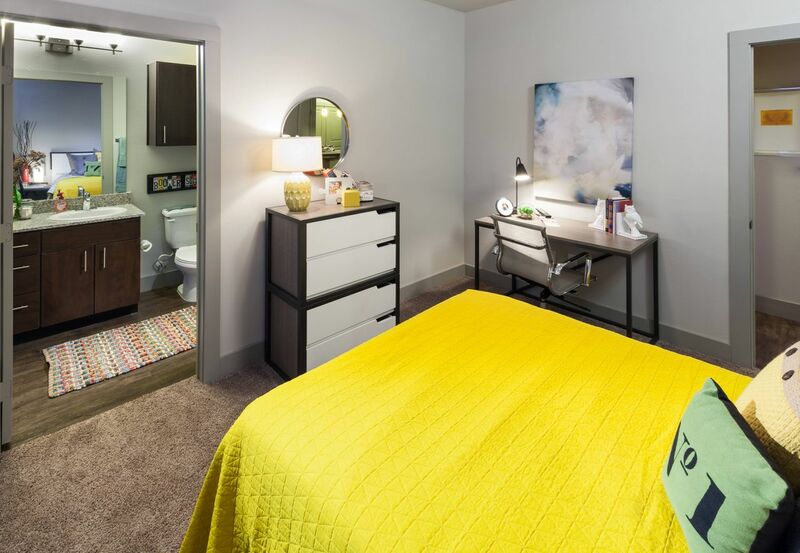 Decide whether you want the peace of a studio apartment or the fun of sharing a two-, four- or five- bedroom apartment where you’ll have your own bathroom and plenty of space to study and snooze. 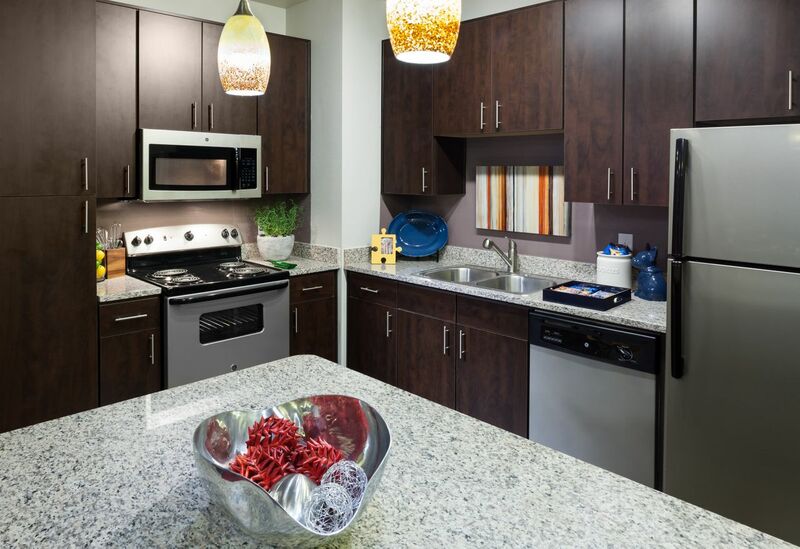 Take the shuttle from campus then relax watching TV in your lounge, or prepare a snack in the fully-equipped kitchen. Play volleyball, soccer or use gym equipment in the fitness center to stay active then wash your gear in your apartment’s washer and dryer. Connect to Wi-Fi and study at your desk or get a change of scene and read over notes outside on the sun deck. Find focus using the PCs or Macs at the computer lab or head to the study space on your floor. Make new friends sharing the grills by the pool, watch the game on the outdoor TV or swap study tips in the hot tub. 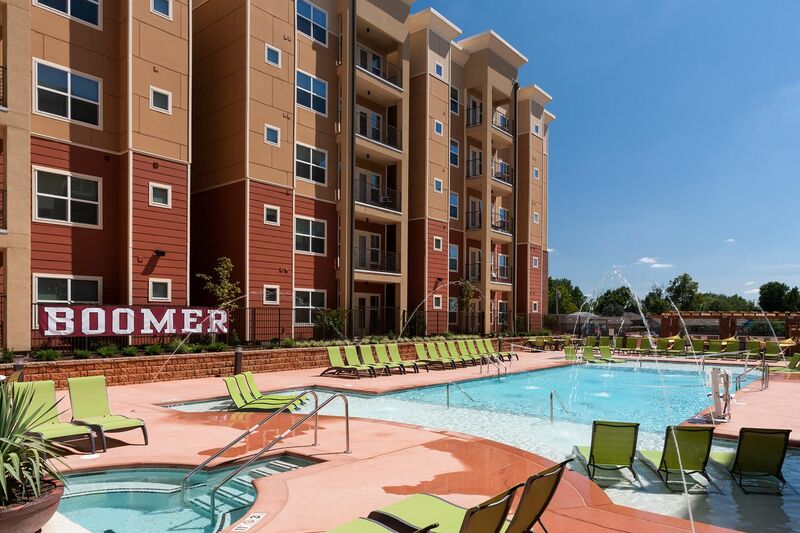 Take advantage of the students first resident life program to make the transition into student life a breeze. Wir haben leider keine Unterkunft gefunden, die deinen Wünschen entspricht.Alle Privatzimmer in Millennium Norman ansehen. Wir haben leider keine Unterkunft gefunden, die deinen Wünschen entspricht.Alle Ganze Wohnung in Millennium Norman ansehen.